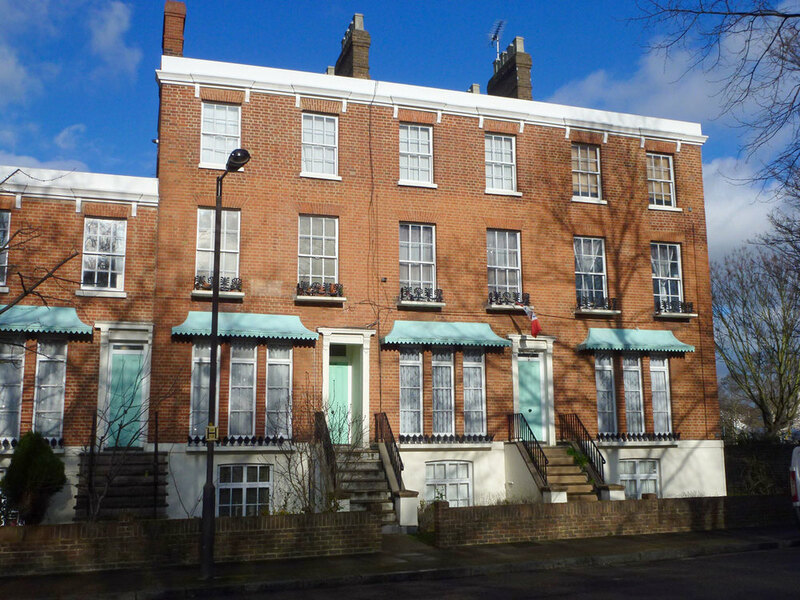 This Grade 2 listed crescent was built 1846-52 in the Regency tradition in red brick, an unusual material for that date, with restrained, pretty detailing. 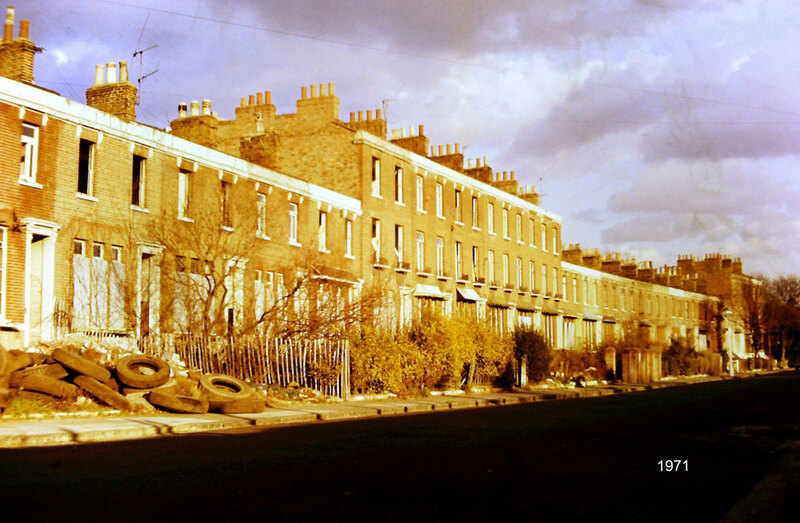 Having fallen into disrepair through deliberate neglect over many years, the 34 houses were threatened with total demolition in 1972. The third photograph shows No.1 had already been demolished, and at the time it was thought to have been lost through enemy action in 1940. However, recent online mapping of every German bomb dropped on London during WW2 shows this was not the case. The demolition of No.1 signalled the Council’s intention to clear the site for comprehensive redevelopment. Photographs show the loss of details, including the copper window hoods, was well advanced by 1972. Students from LSB University, led by Richard Simpson, set up with local residents an action group, which later became The Peckham Society, and applied successfully for spot-listing. After weeks of intensive work they proved the cost of retaining and conserving Clifton Crescent would be substantially less than demolishing and building anew. Against the tide of public opinion at the time, and to its credit, Southwark Council voted in favour of retention. No.1 was rebuilt and the whole crescent was restored for social housing in 1974-5.